Use this green USB to PS/2 Keyboard/Mouse Adapter to plug your PS/2 (Mini-Din 6) device into a USB port. 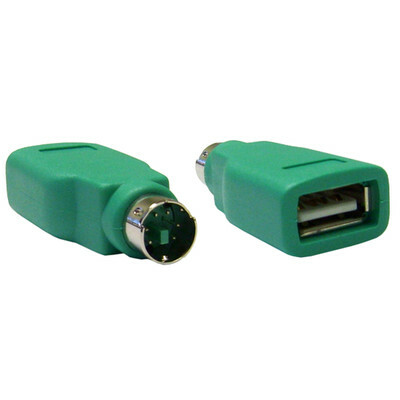 Good adapter for using PS2 plug with USB keyboards. Good product for a good price- no problems, just as described. Orderd one. Did not work. Sent me a replacement. The replacement did not work neither. Did I receive two defective items? I purchased the wrong adapter, but it is a good product.